From the picture I posted you may notice that I have lost a little weight. I’ve lost approximately 110 lbs to be exact! My weight kept creeping up and creeping up and I was feeling like a complete failure. Eating clean is NOT easy. Working out is NOT easy. 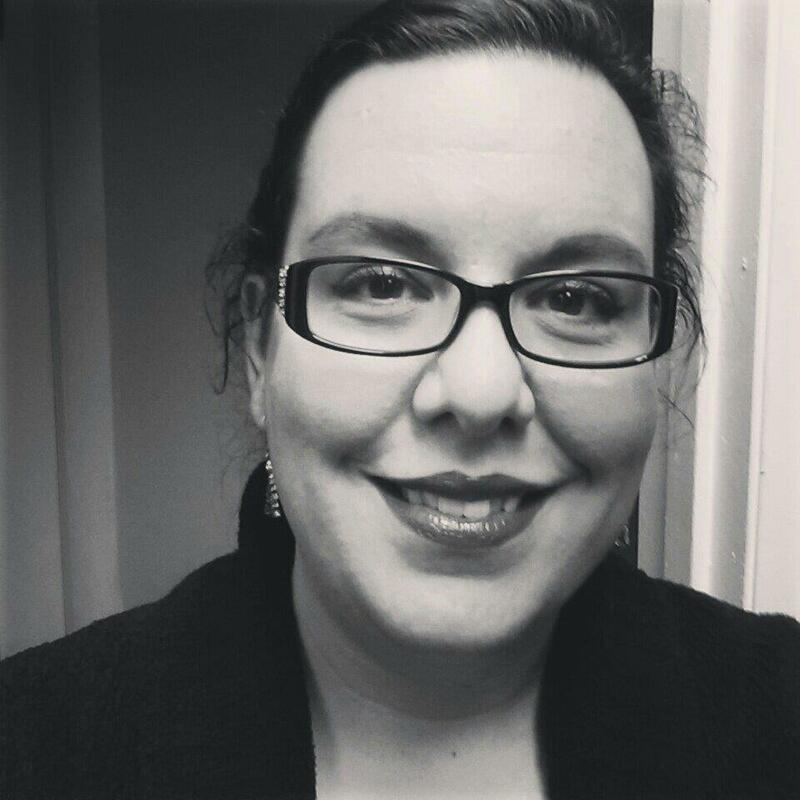 My PCOS was out of control, but more importantly, I was out of control. I knew I needed to do something and fast. In the fall of 2011 I began to have some “female” issues. My options were to either lose weight, or have a hysterectomy. Since I want to have children I knew that a hysterectomy just wasn’t an option for me. I had to lose the weight. For real this time. My gynecologist suggested weight loss surgery and I kind of poo-poo’d him off. Then one night, as I was crying to John about unhappy I was with my weight and fearful we’d never have a baby, John said, why not just do it? If the surgery will help to get me healthy, what did I have to lose? That same night I began researching my options. I found out which local doctors performed the surgery and signed up for a seminar at the one I felt was the best fit for me. I went to the seminar and learned a TON of information. I submitted all my info that night to begin the process of pre-approval with my insurance company. A few days later I got the call that while my insurance does cover that surgeon, they do not cover the hospital in which he operates. I was so disappointed! I really liked this surgeon and the new technology they used at that hospital. But obviously I can’t afford to pay out-of-pocket, so I went with my second choice (which was covered, as was the hospital). With that snafu I decided that I needed to have as much info from my insurance company as possible. I learned that there were several criteria that had to be met in order to be approved for surgery: I had to have 6 monthly visits with my primary doctor to monitor my weight and diet, I had to see a nutritionist, get a psychological evaluation, and also meet several health criteria (a certain BMI or above, co-morbities, etc). I jumped through all their hoops, and finally, in March of 2012 I was approved to have Gastric Bypass Surgery (Roux en-Y) and had my surgery on April 5th. Two weeks prior to surgery I had to go on a modified liquid diet. I had a shake for breakfast, a shake for lunch and a high protein/low carb dinner. The goal was to lose about 20 lbs during this time. I lost 12, bringing my day of surgery weight to 355 (yes, my weight had crept right back up to 367 lbs). Since then I am down to about 257 lbs for a total weight loss of 110 pounds in 9 months. I have so much more to share, but I’m out of time for today. Don’t worry, I’ll write again soon. Please feel free to ask any questions you may have and I’ll try to answer them in my upcoming blog posts. It has been WAY too long since I have blogged! 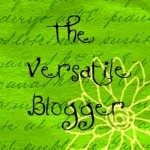 So much has happened, and I have really missed using blogging as a creative outlet. It will take some time to catch up from my last post to now, but I’m excited to get back into the blogging world and share my life and story and progress and set backs with all of you. Last week I had every intention of posting another blog, but it just didn’t happen. I also didn’t get in any more cardio or any yoga/meditation. Grrrr!! I’m a bit disappointed in myself, but I’m going to focus on the positive and try again this week. I DID track everything that went into my mouth Monday, Tuesday, Wednesday, Thursday, and most of Friday. This is a HUGE improvement for me! This week, I’m aiming for all 7 days. This week is going to be a challenge because I’m going to be attending a conference for work. The days will be long, leaving little to no time for exercise, and the food will be plentiful I’m sure. I’m going to do my best to make wise choices, get in as much water as possible and try to be creative in getting in my workouts. The best part of my weekend was beginning a huge project of refinishing an old desk. I bought this desk and hutch about 10 years ago. It was a beautiful cherry finished wood, but it had definitely seen better days. I wanted a crisp, clean look and decided to sand it down and paint it white. I figured it would be a big job, but I really had NO idea what I was getting myself into. I got two full coats of paint on it after sanding it down Saturday. Yesterday I was able to another 2 coats on the hutch and legs, and 3 on the desk top. The desk top is done (I think :)) and the hutch and legs need at least one more if not two… But it was a lot of fun and I’m looking forward to the finished product. 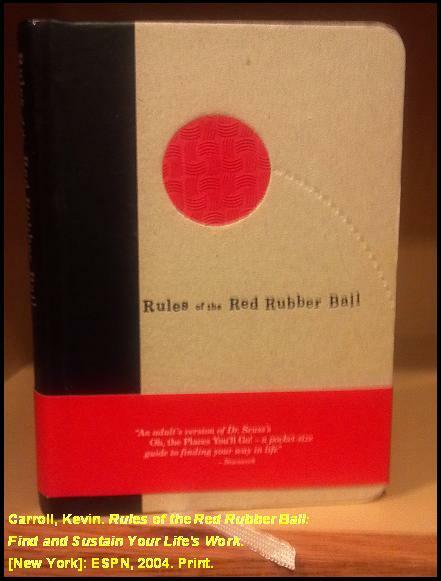 One of the most inspiring books I have read is Rules of the Red Rubber Ball by Kevin Carroll. You often hear the question, “If money wasn’t an issue, what would your dream job be?” And I bet each of us could answer that question in a heartbeat. 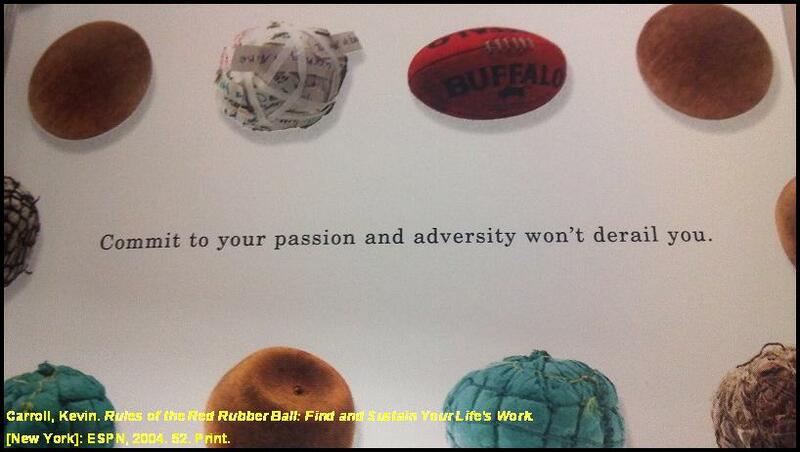 We get so wrapped up in our day to day lives that we often lose site of what we are most passionate about. We get stuck in a rut, go about our routines, and all too often resist change, even changes we want. I know for me, the changes I am trying to make in my life revolve around health and wellness. Am I passionate about it? Not so much… But the results and the things I’ll be able to do when I reach my goals ARE what I’m passionate about, so in turn, I need to re-direct my passion, so to speak in order to achieve those goals. What are you passionate about? What’s keeping you from it? What can you do to change that? Starting the week off with a BANG! The last couple weeks my cardio and point tracking goals have fallen by the wayside. I wanted to focus on those two things this week, but was a tad concerned because it was a holiday weekend. Finding the time Making myself exercise over a normal weekend is hard enough, but a three day weekend? Unheard of. 🙂 So imagine my surprise when I decided to go and walk the “loop” Monday morning! Including the walk from my neighborhood (and back) it was 2.37 miles. At this point in my life I just don’t have the extra funds to join a “real” gym. I am so fortunate that my job has very nice gym with weight machines, cardio machines, free weights, etc; but I also love classes like yoga, zumba, etc, so not really having a way to do that right now I was trying to find ways to do them at home. I found this app, My Yoga Routine, for my Android phone. I was very quite skeptical about using my phone to do yoga. I mean, could it really be as good as a video or class? Really? The answer is, yes! I did the 15 minute sun salutation routine and it was really good! So, this week I achieved two goals: (1) Write 3 blogs, and (2) Yoga/Meditation. Yay! It never fails… Just when I think things are calming down, and I’m getting into a routine, something comes along to prove me wrong. I get that becoming comfortable often means becoming complacent. But seriously? Being the planner control freak that I am, I like to know what’s going on, when it’s happening, and what my role is to the letter. Unfortunately, life likes to throw 90 mile an hour curveballs at me on what feels like a daily basis. To top all of it off, I’m sick, again. I have a horrible flu like cold thing going on and I’m achy, congested and have a massive headache… Fun times!